We are dedicated to medical excellence and believe in providing exceptional care with compassion and integrity. Our practice has specialized in diseases of digestive tract and liver since 1991 and is focused on screening for digestive & abdominal disorders while providing wide variety of invasive and non-invasive procedures. Our medical team is made up of competent individuals that assist Dr. Batash in providing excellent patient care. Dr. Batash performs all invasive procedures at the state of the art ambulatory surgery center. In the office we perform variety of other testing, such as lactose tolerance testing, metabolic rate analysis, H Pylori breath test and allergy testing. We strive to provide you with excellent quality of care. We welcome opportunity to listen to you suggestions. Patient's health & safety is our #1 concern. You as a patient can play a role in making your care safe and becoming an active, involved and informed member of your health care team. Dr Batash received his B.A. from Columbia University and M.D. from NYU School of Medicine. He completed his residency at Bellevue NYU and his Fellowship in Gastroenterology at New York VA (NYU School of Medicine). In 1998 Dr Batash was appointed Clinical Assistant Professor of Medicine at NYU School of Medicine. He currently has admitting privileges at NYU Medical Center and NYHQ. 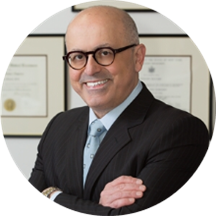 Dr Batash is a member of the American College of Physicians, AMA, American College of Gastroenterology and American Society of Gastrointestinal Endoscopy. Very good. Organized. Help the patient very well. One of the most comforting doctor visits I’ve ever had. All his staff are genuinely nice and helpful. The wait is a bit hectic but worth it! Definitely worth a visit to keep your gut health in check. After visiting a GI months ago who didn’t listen or take me seriously, it was so relieving to meet with a doctor who actually took all my symptoms seriously and was kind and professional. The staff is amazing. The doctor listens and makes you feel comfortable. Went to see doctor for weight loss consultation. He is an excellent and friendly doctor. He took time to go over the procedure and explain all of my options. He was thorough and attentive and I did not feel rushed like I do with other doctors. Absolutely professional and friendly. I will continue seeing him for my needs. My visit with Dr. Steven Batash is no-doubt may be assumed as an excellent and quite satisfactory . Behavior of Doctor and the whole staff is very friendly, devoting and appreciable . Dr. Batash was great! I was very nervous going into my first appointment, but he was very kind, patient, understanding and easy to talk to. He is also, of course, extremely knowledgeable and I felt like he had my best interestsin mind—I didn’t feel rushed or like I was going through unnecessary procedures. I am so glad I saw Dr. Batash as my first gastroenterologist and would definitely recommend him to others. Dr Batash is a great doctor. His bedside manner is the best. It was great. Doctor explained everythig in great details. No rush. I left the office with no un answered questions and completely satisfied. Dr.Batash was very down to earth. He listened patiently and discussed all the procedures I needed to determine accurately what my problem was. The PA, Caroline, was also very nice. The doctor also had a great sense of humor which putme at ease. The young woman who drew my blood, Maribeth, was so, so, nice and helpful. A true sweetheart. I will be returning to this office and trust they will be able to help me. Dr. Batash, his Physician Assistant and the medical assistant were very courteous and helpful. Unfortunately, the front desk staff is not as pleasant to interact with. Overall a good experience. My only reccomendation would be to train the secretary to have better manners. Amazing visit with Dr. Batash. He explained everything really well and I would recommend him to anyone! They are very thorough. Good office to get to the bottom of my concerns. excellent doctor. one of the best I've visited, patient, kind, gives time to understand and be sympathetic with patients concerns. highly recommended. Had to wait a while about two hours because computers were done. Dr Batash was unbelievably amazing. He knows exactly what hes doing and so caring!!! Extremely professional and warm - took time to answer my questions and explain his reasons for his recommendations, His physicians assistant was lovely and very thorough. I waited a little over 30 min. Once I was with the doctor he was great! Did a thorough consultation of my background, symptoms and then explained next steps. I felt very comfortable with the process. He took things slow takingone step at a time instead of rushing into drastic treatment methods. The nurse was also great and I really thought she did a great job! Dr Batash is an excellent clinician. His clinical staff is very professional and knowledgeable in his specialty. His clerical staff can be more helpful. I waited over an hour to have new patient paperwork handed to me for completion. caring and knowledgable! Best of the best! I was very pleased and satisfied as to find a office they listen to your concerns. Very nice office, the girls who work in the front desk are very nice. I'm not sure where the negative reviews are coming from for both Dr. Batash and his staff, but they are all totally off base. The minute I came in I was helped right away, and as a first time patient Iassumed I would be waiting for a long time to see the doctor as my information was processed and entered. Boy was I wrong! I was a bit early, so I sat in for what I would assume to be a long, boring wait. In under 45 minutes (which is a record for a doctors visit wait for me in NYC) I was shown to the back and, instead of waiting in the exam room for another interval (pretty standard for every other visit I had), I immediately sat with the doctor in his office to discuss my issue. He sat with me for nearly 20 minutes, going over all of my symptoms and making sure he had the full picture. He then ordered a battery of tests for me and did his exam. Everything I needed was scheduled and confirmed before I left the office. I was shown next door for labs and bloodwork, where again, I was immediately seen and taken care of. The staff made me feel welcomed, not awkward (considering for the issue I had gone in with), and were intensely reassuring, making sure that I understood that they would be with me every step of the process and that I understood everything I needed to do. They were able to confirm that none of this would go wrong despite my changing insurances in the new year. I very much look forward to solving my health issue with Dr. Batash and his staff, and I would emphatically recommend his services to everyone I know. It was my first appointment. His physcian assistant was very nice and took time to assess what my issues would be. The doctor seemed very genuine and made you feel comfortable. Dr Batash was excellent.He took his time explaining the procedure. Doctor was very informative and I thought he was great! Dr. Batash made me feel comfortable. He's friendly and knowledgeable and took the time to listen to me. He was thorough and helpful. He referred me to the right doctors. He has been my primary care physician for several years nowand has always provided the absolute best care.The staff was very friendly and welcoming. Dr. Steven Batash is a great doctor. Horrible bedside manner when it comes to this doctor. His staff do his job for him, only saw me at the end of the "consultation" for less than 3 minutes. When called with my concerns they told me to wait until it's bad then they'll deal with it. The wait was a bit long but overall a great doctor. Very detailed. Unprofessional Hispanic ethnic staff such as singing loudly and not listening while they suppose to, quick Dr visit to patients, no remorse towards his patients, and I smell prejudice. Over two hours of wait for 1 minute quick discussion. Awful. Stay away! Dr. Batash is professional and amiable at the same time. I wasn't nervous at all. The Doctor himself was very nice and listened to all my concerns. The staff, receptionist were very unprofessional, and had bad attitudes. I had a follow up and all because of the office staffs manner, I now found a new doctor and his staff is excellent.